This is a guest post by Arina Bokas. Two years ago, I started to question my grading practices and what they communicated to my students. What mattered in my class – the learning process and growth or the outcome and fixed skills? Like many English teachers, I strove to help my students grow as writers and thinkers. However, this honorable intent, although supported by hours of dedicated effort to focus on the writing process, was inevitably sabotaged by the way I approached grading my students’ work. My idea of assessing student writing, similar to many current practices, was about grading the output – such as an essay – with some consideration given to revision. This sent my students the message that it was okay to put minimal effort into “how” they wrote as long as “what” they wrote met all of the required criteria. As a result, my students rarely took revising seriously, while peer editing too often turned into a waste of time. Serious work took place a day or two before a paper was due. The truth is that we grow as writers through investing time, thought, and meaningful effort in the process of writing. What if we stopped grading only papers and started assessing a writing project – the entire work that goes into understanding a particular genre and piece of writing? Having realized that how I awarded points for assignments could make a difference in how students approached writing, I made drastic changes to my rubrics, shifting nearly 50 percent of the points toward the process. This meant that students began accumulating points early on, well before their essays were due. I expected my students to produce a portfolio, not just a paper. 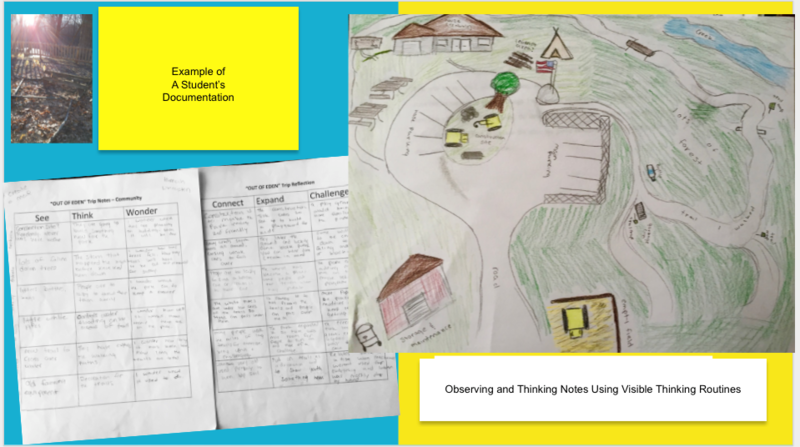 They had to show their work by including documentation of thinking, observation notes, revisions, and post-assignment reflections, in addition to their final products. Each component was worth a specific amount of points, and omitting one would mean a lower grade. Thinking/Notes – Depending on a writing unit, students were required to take a slow walk, observe something, interview a person, read an article, or test a product. During this action-based thinking activity, they were expected to record their thoughts, ideas, and observations. These notes made up 10 percent of the overall grade. First Draft – This initial writing allowed students to put their thoughts on paper without worrying about polishing their prose. A completed first draft with a peer editor’s markings contributed to 10 percent of the overall grade. 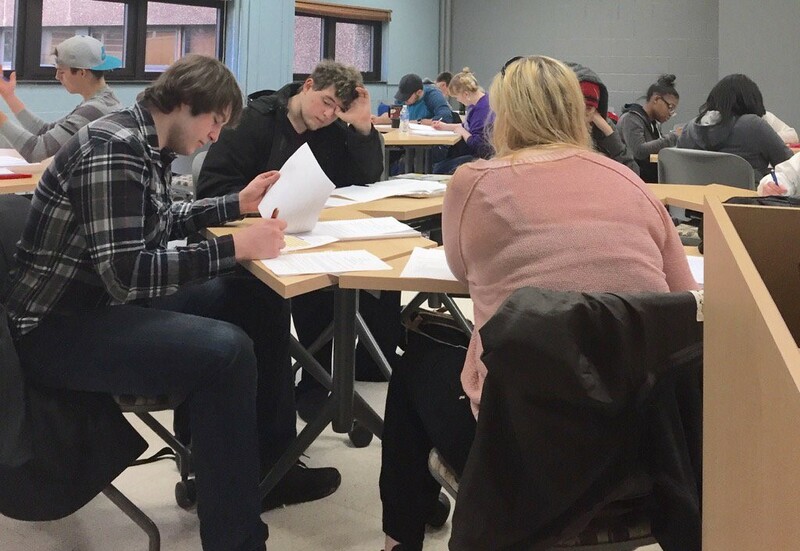 Peer Editing Workshop Work – Only students who had completed their essays prior to the workshop were qualified to participate; if students didn’t have a finished first draft, they worked on it during class and had the option to conduct a peer editing session on their own time. During the workshop, I gave students a peer editing worksheet with tasks and questions, asking them to highlight structural elements, comment on quality, and provide practical suggestions for improvement. This work was reflected in both the text of a reviewed paper and the provided worksheets. It determined 20 percent of the grade. Final Draft – The final paper had to differ from the first draft and reflect revisions. I downscaled my usual rubrics to count it for 50 percent of the grade. Post-Assignment Reflections – Students had to reflect on their writing process after completing each writing project: what they found to be easy or difficult; their struggles and discoveries as writers. This not only provided students with an important conclusion to every unit, but it also served as invaluable feedback that allowed me to modify my teaching. Reflections made up 10 percent of the grade. De-emphasizing the final product and focusing on the project one step at a time helped my students slow down. No longer could high achievers ride on their existing skills and excel in my class; they had to work through stages, think more deeply, and make connections they otherwise wouldn’t have made. Other students first saw this as an opportunity to improve their grades. As they embraced the process, they didn’t worry about the outcome, which helped them focus and better capture their thoughts. Working on the process seemed to relax the atmosphere in class, brought a flare of humor, and sparked a lot of open thinking. And sure enough, as we took care of the process, outcomes took care of themselves. My students produced some of their best pieces, written with a strong writer’s voice. Children are different from one another. How they approach their learning and the lessons they learn along the way vary greatly. When we tell them that their journey is just as important as the destination, they take the time to wander, discover, and understand themselves. Standing there among the trash, I felt that my words had purpose. I wanted them to impact others so that they would never litter. I cared deeply about every possible word I could write on this subject. I went over my paper four or five times, trying to make every letter count. This essay project changed the way I was writing and the way I felt about my work. Arina Bokas, PhD, is an educator, author, presenter, and educational consultant . She is the editor of Kids Standard magazine and a faculty member at Mott Community College, Flint, Michigan. Arina is the author of Building Powerful Learning Environments: From Schools to Communities (2017) and dozens of educational publications. Follow her on Twitter @arinabokas.